Kenneth Stancil is expected in court Thursday morning in Goldsboro after waiving his right to fight extradition. GOLDSBORO, N.C. (WTVD) -- Kenneth Morgan Stancil III is expected in court Thursday in Goldsboro after waiving his right to fight extradition from Florida. Meanwhile, Stancil's mothers says an allegation he made about his victim in a Florida courtroom Tuesday is not true. 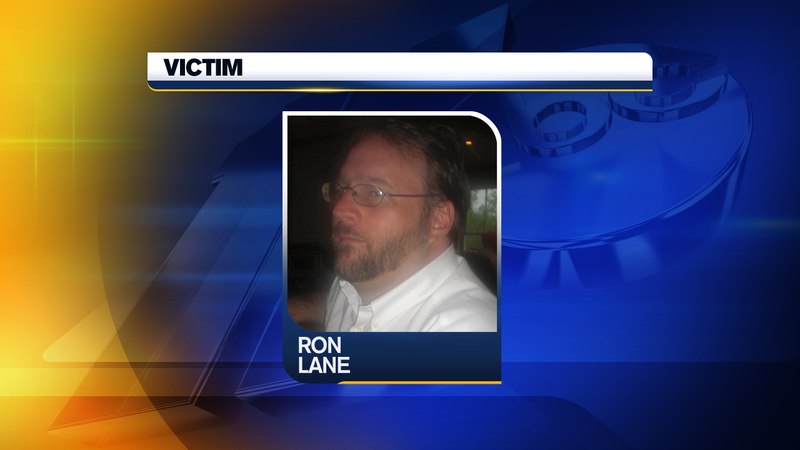 Stancil is charged with murdering his 44-year-old former boss Ron Lane with a shotgun on campus Monday morning. The 20-year-old was found sleeping on the beach in Daytona around 1:30 a.m. Tuesday by the Volusia County Beach Patrol and was arrested. At a separate hearing Tuesday, a judge asked Stancil if he had anything to say. He responded, "I just want you to know, I ridded one less (expletive) child molester from the (expletive) earth that (expletive) with my little brother. All right? That's all I got to say." But in an interview with the Associated Press, Debbie Stancil said she knows Lane never had any contact with the brother and that her son is likely making the accusations because he is "rattled and confused." She said her son was angry when he was dismissed from his work/study job in Lane's print shop, and that he had told her Lane, his supervisor, had made unwanted sexual comments to him. "He was verbally inappropriate with Morgan at school. Very much verbally inappropriate," she said. "He would tell him to stop and he kept on." Lane's brother and sister declined to comment when reached by the AP. College spokeswoman Tara Humphries said she did not know whether any complaints had been lodged against Lane. Humpries said the reason for Stancil's dismissal from the work/study program was repeated absenteeism. Police say the shooting appeared to be planned in advance. Stancil entered Lane's third-floor print shop in a campus building shortly after the older man arrived for work. 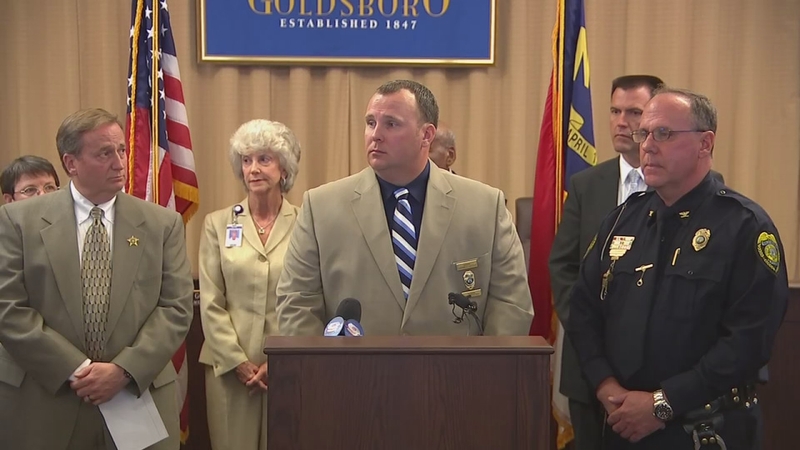 "Mr. Stancil had a calculated plan," Goldsboro police Sgt. Jeremy Sutton said. But Debbie Stancil said she sees it differently. "He had a moment of insanity. I don't know. He just snapped. That is not my son," she said. "He's probably out of his mind. I think he needs mental help." Stancil was a third-year welding student who had just self-tattooed a neo-Nazi symbol on his face days before the shooting. Police said they are investigating Lane's murder as a hate crime. Brent Hood, coordinator of education support technology at the college, was Lane's supervisor for the past three years. He said he didn't think Lane was killed because he was gay. He said Lane was in mourning because his partner of 12 years disappeared in July and his remains were found months later. Police said Chuck Tobin killed himself. Lane insisted that Tobin be described as his long-term partner in an email Hood sent to other staffers announcing the discovery. "The administration was a little concerned. But Ron wanted it to be said that way," Hood said. Lane was "comfortable in his own skin, like he had no cares in the world." Debbie Stancil said her son was also affected by a suicide. She said he never recovered after finding his father in the backyard after he had killed himself in 2009. A service for Lane will be held Thursday at 2 p.m. at the Shumate-Faulk Funeral Home in Dudley. Family will receive friends immediately after the service. A private burial will take place at a later date. Flowers are welcome or memorial contributions may be directed to The Wayne Community College Foundation in memory of Ronald Lane, 3000 Wayne Memorial Drive, Goldsboro, N.C. 27534.